A San Francisco native, Andrew earned his B.A. from Northwestern University in 1981, followed by his J.D. from the University of San Francisco in 1986. 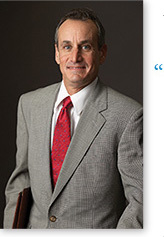 He was admitted to the State Bar of California in 1988 and immediately joined CWM. He not only brings his A game to the courtroom, but the tennis court, ski slopes and every game of hoops. Andrew and his wife, Debbie, inveterate Cal boosters, live in San Francisco with their two sons, Jim and Rob.